Six months after Indian Prime Minister Narendra Modi’s visit to Israel, Israeli Prime Minister Benjamin Netanyahu flew to India on Saturday to repay the diplomatic courtesy. This is the first visit to India by an Israeli Prime Minister in the past 15 years and a significant sign of the strengthening relationship between the two countries. 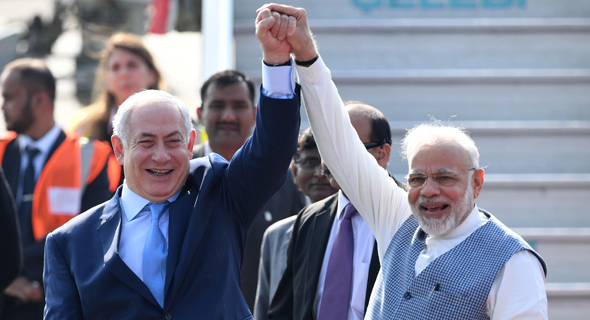 During his six-day visit, Mr. Netanyahu is scheduled to visit Delhi, Mumbai and Mr. Modi’s home state of Gujarat, and is expected to sign several agreements concerning, among other things, energy, commerce, cybersecurity and tourism. Mr. Netanyahu is also expected to address the cancellation of a $500 million deal between the Indian government and Israeli defense contractor Rafael Advanced Defense Systems Ltd.
India is currently facing vast transformations in almost every field, and the future of the India-Israel commercial cooperation depends on addressing several mostly untapped issues. India has one of the largest road networks and auto industries in the world. Promoting electric and smart mobility is one of the country’s top priorities, with the vision being, 100% electric vehicle adoption by 2030. At the Smart Mobility Conference held in November in New Delhi, Indian Union Minister Nitin Gadkari released a report titled “Enabling India’s Transition to Electric Mobility,” stating that India’s transition to a shared, electric, and connected mobility system could save the country $330 billion by 2030. India is actively seeking to create an ecosystem for electric and smart mobility and is gradually transitioning into a shared, electric, and connected mobility ecosystem, a field in which Israel has a lot to offer. 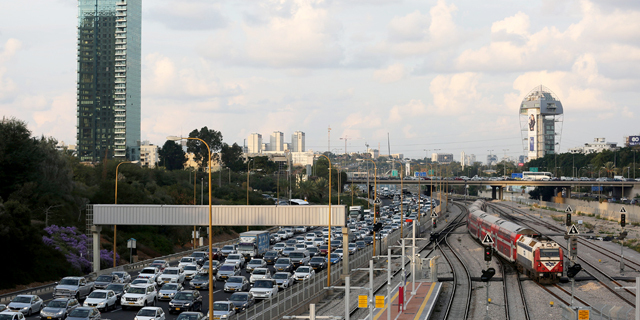 In January 2017, the Israeli government has launched a National Plan for Smart Mobility and allocated a budget of NIS 250 million for the plan for 2017-2021. The Israeli automotive and smart mobility sector includes more than 500 companies, 200 research groups, and over 2,000 entrepreneurs. The combination between established companies and young entrepreneurs creates a mutually beneficial ecosystem, with some major mobility players including Waze, acquired by Google in 2013 for $1.3 billion, and Mobileye, acquired by Intel in 2017 for $15.3 billion. The focus of Indian digital health startups is mostly on the delivery of medical services, neglecting products and technologies which may be used for diagnosis or even treatment. Earlier this month, Apollo Sugar, the nationwide diabetes clinic chain of India-based Apollo Hospitals Enterprise Ltd., signed an agreement with Israeli startup GlucoMe Ltd., to integrate its wireless monitor into Apollo Sugar’s home care program. Israeli digital health players, with close to 400 dedicated startups focused on two major sub-sectors—personal health tools and health analytics—can help fill this vacuum. During the 2015 UN Climate Change Conference in Paris, Mr. Modi initiated an international solar alliance (ISA) of over 121 countries, setting the Indian government’s goal at reaching a renewable energy capacity of 175 GW by March 2022, including 100 GW of solar power, 60 GW of wind energy, 10 GW from biomass power, and 5 GW from hydropower. This makes India one of the world’s most ambitious countries when it comes to renewable energy expansion plans, and the government is actively encouraging foreign players to enter the local clean energy market. Some Israeli solar energy companies are already taking part in the Indian renewable energy market. Israel's Ecoppia Scientific Ltd., provides autonomous, water-free PV-panel cleaning technologies for some of India’s biggest energy players including NTPC Ltd. and Adani Power. In 2016, the company launched a robots production facility in Chennai, India. Last year, Israel-based SolarEdge Technologies Ltd., a provider of PV inverters, power optimizers, and module-level monitoring services opened offices in India. After defense, agriculture is one of the key areas of cooperation between India and Israel. In 2006, the two countries signed an agreement concerning agricultural cooperation. In 2008, this agreement morphed into the Indo-Israeli Agricultural Cooperation Project. Israel is a leader of industry in agricultural innovation and food-tech with developments including drip irrigation tehcnologies, grain cocoons, biological pest control, crop protection and desert potatoes. The Indian government is adamant to overhaul its agricultural industry, and, focusing on agribusiness and agro-value addition, Israel has the science and resources to proactively turn India’s agriculture sector into a profitable enterprise. The focus of India-Israel water cooperation is on water conservation, wastewater treatment and its reuse for agriculture, desalination, water utility reforms, and the cleaning of the Ganges and other rivers using advanced technologies. Some parts of India are already using Israeli desalination techniques and the Indian government is planning to set up many more desalination plants across the country. Micro or drip irrigation methods are vastly used by Indian farmers and Israeli teams are working with the respective ministries to explore cooperation opportunities related to water management. During Mr. Modi’s visit to Israel, both countries have signed two key memorandums of understanding related to water cooperation, one refering to a national water conservation campaign, and another focused on a state water utility reform in India. India and Israel are both active in Africa, both focusing on clean and renewable energy projects, healthcare, agriculture and rural development, vocational and technical education, and entrepreneurship promotion.Combining the two countries’ efforts may lead to significant progress and help save lives and establish productive, sustainable communities. Author and entrepreneur Devsena Mishra is the co-founder and director of DappsTech Private Limited, a company promoting cybersecurity collaboration between India, the U.S. and Israel. She is also the founder of a2zstartup, an initiative that promotes startups in India.